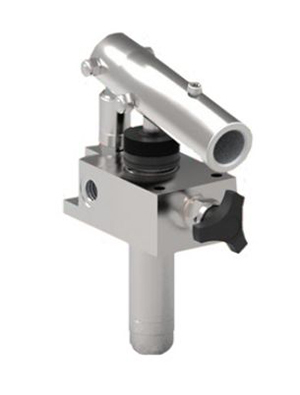 Our range of Air Oil Boosters are ideal for clamping or punching, delivering a large quantity of oil at variable pressures at high speed they offer a high degree of control with a high speed action. 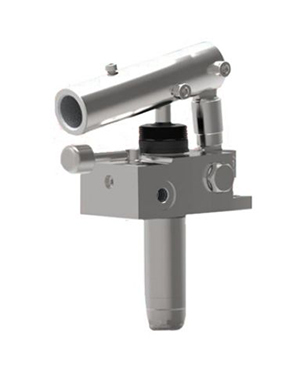 Utilising your existing air line they transfer air pressure into hydraulic pressure via a larger air piston chamber to a smaller hydraulic oil reservoir to create upto 350 BAR hydraulic pressure from air pressure of 7 BAR. Whatever your requirement we at Hydraulics2U are here to help, please contact us with your requirements and we can find the right booster for your application. At Hydraulics2U we are committed to offering a full range of hydraulic clamping products, our ranges of Pull Down Clamps designed for top face machining, Positive Clamping Cylinders for prolonged clamping applications and our large Work Support range help us achieve this. We also offer power sources from air to electric pumps and are experts in desiging the systems you need to achieve a complete system to suit all your requirements. 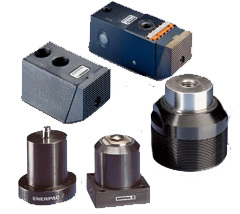 We specialise in Enerpac workholding equipment but are equally able to offer other products from the likes of Roemheld. For extending clamping we can also offer the unique "Collect Lok" range of workholding products as highlighted below. Whatever your clamping requirement we at Hydraulics2U are here to help, please contact us with your requirements and we can find the right clamping solution for your application. 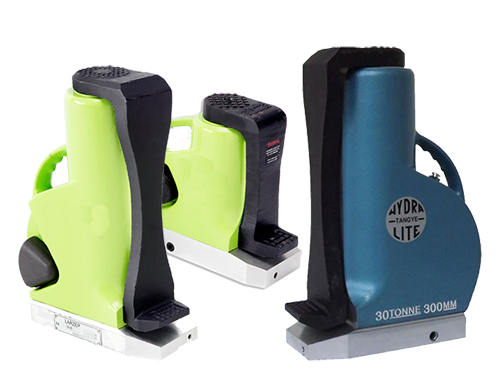 For the ultimate in prolonged load holding even when the hydraulics are disconnected, the "Collect Lok" range of products is the idea solution. 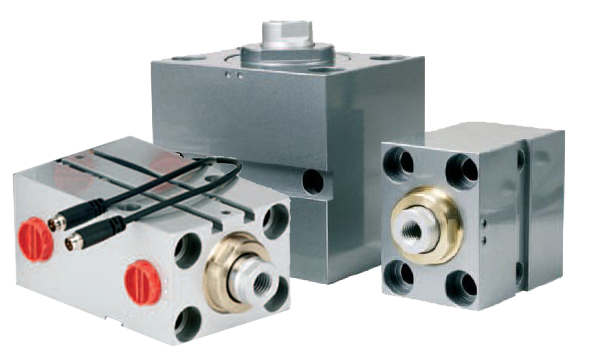 We can offer a full range of hydraulic swing and linear push cylinders with a lower flange or threaded body design for easy installation. 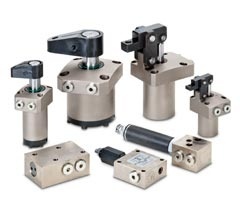 These same mounting options are also available in the Collet Lok Work Supports and offer the same advantages as the swing and push cylinders. By using an internal collet activated by the hydraulic system to produce a mechanical lock within the cylinder, this allow the hydraulic to be disconnected or offers a completely reliable mechanical back up to the hydraulic system. Reconnecting the hydraulics will allow the removal of the mechanical lock in the cylinder so it can be released.
. 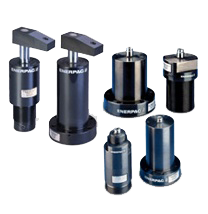 Collect Lok Push Cylinders - Upto 22kN (2.2 Tonnes) from these push cylinders, the load is maintained via the double acting collect system. 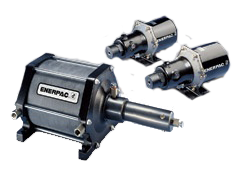 The Enerpac range of low pressure hydraulic clamping products include Swing Cylinders and Ling Clamps in single and double acting, with a maximum pressure of 70 BAR (1,000 PSI) they offer the reliability of hydraulics for low capacity applications. Upto 20kN (2 Tonnes) they are the ideal alternative to pneumatic clamping and we can supply the complete range of remote valving to achieve the clamping you require for your application. These product all benefit from Nickel Plating to offer superior corrosion resistance the clamping cylinders are offered in an uper flange mounting for easy installtion. 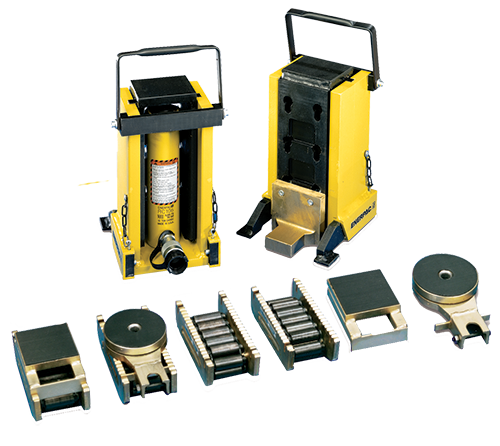 Whatever your clamping requirement we at Hydraulics2U are here to help, please contact us with your requirements and we can find the right clamping products for your application.